Kevin Butler: LFGdating’s Next Spokesman? 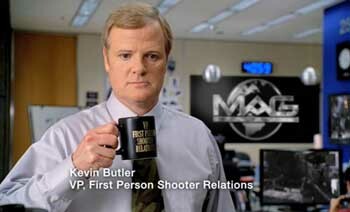 Raise your hand if you miss the Kevin Butler Sony Playstation commercials. Okay now, both of your hands should be way up in the air. Mine are both up; I’m actually typing this with my toes right now so I can show emphasis. 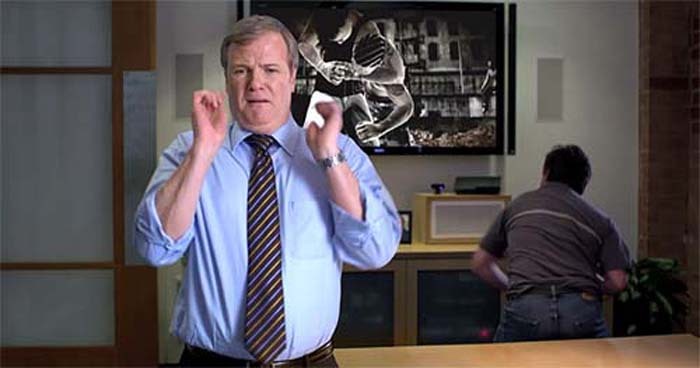 Seriously though, Kevin Butler, or Jerry Lambert in real life, single-handedly brought awesome back to the video game commercial business, bringing goofy humor and hilariously awkward faces that resonated not only with gamers, but with anyone who happened to be watching television at the time. Kevin helped Sony out during some monumental releases, from God of War 3 to Uncharted, and in my opinion helped eliminate many of the gamer stereotypes that we here at LFG Dating are constantly trying to abolish. So now that Kevin’s done with Sony, what’s next in line for the hilarious spokesman? Well here at LFG Dating, in the Glass Boot Ventures development studios, we just happen to have a new opening for television spokesman, and Jerry, you my brother, the position is yours for the taking. Company shares, stock options, etc; just come on board for a couple dozen commercials and we’ll call it a deal! Here’s to hoping we’ll see Jerry back on gaming TV commercials in the near future (hopefully wearing an LFG tie); in the meantime why in the world have you not signed up for LFG Dating yet? You know its free, don’t you? Sign up at LFG Dating today for the love of the gamer!